← The War Over ‘War of the Worlds’ – Myth or Math? 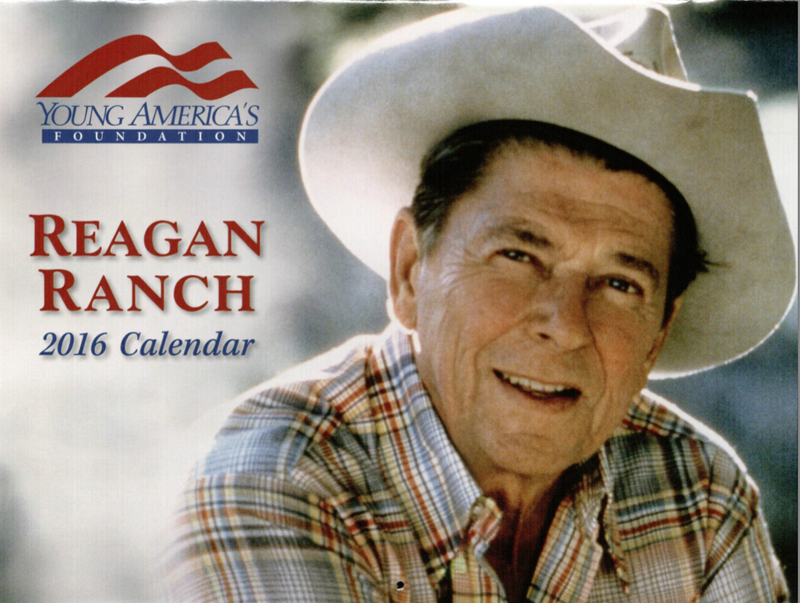 So, pony up for the Reagan Ranch and get a swell calendar. 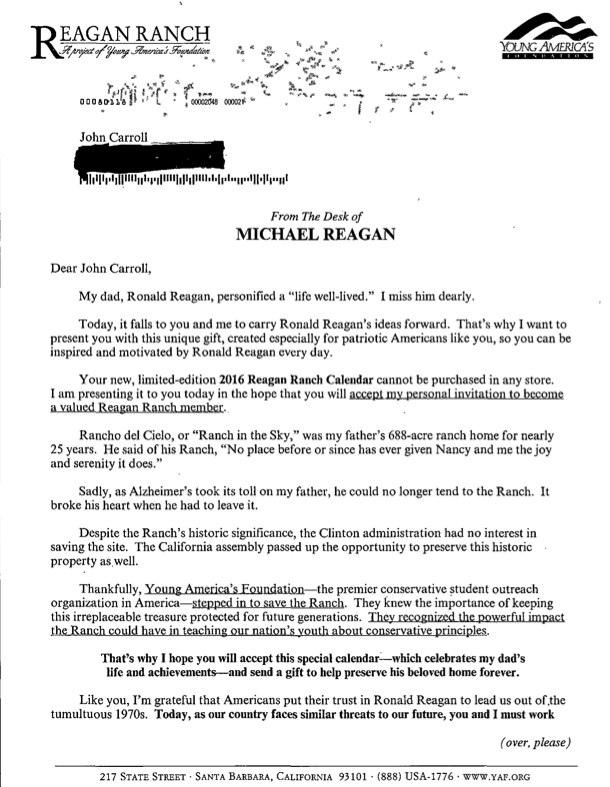 You might wonder: Why exactly is the hardneutral staff getting Reaganabilia in fundraising mail? Because we subscribe to The Weekly Standard, which apparently sells our name to every conservative outfit with a dollar in its pocket. Which is why, despite Hillary Clinton’s newfound zeal to panhandle for Super PAC bucks, GOPniks will likely outspend Democrats this presidential election too. 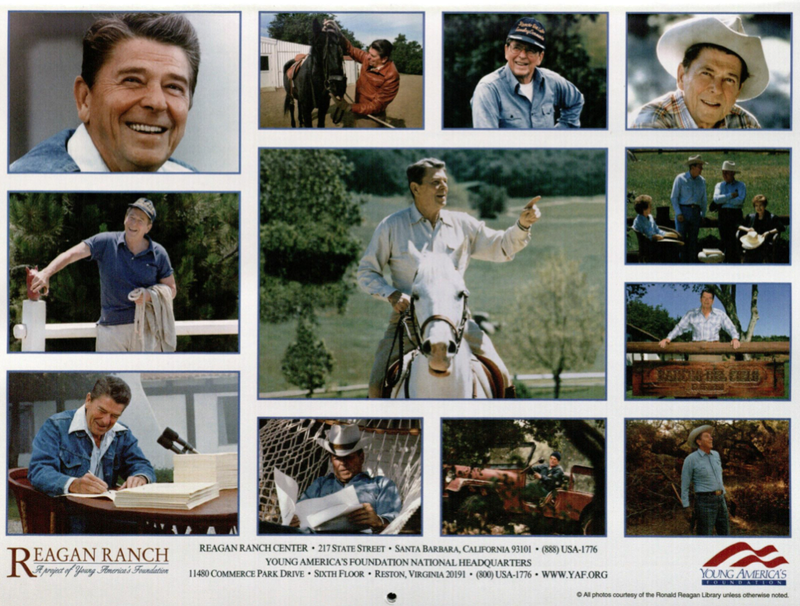 Video | This entry was posted in Uncategorized and tagged hardneutral staff, Hillary Clinton, Michael Reagan, New York Times, Rancho del Cielo, Reaganabilia, Ronald Reagan, super-PAC, The New Republic, The Weekly Standard, Young America's Foundation. Bookmark the permalink.